In a move that firmly puts Skurnik Wines at the forefront of the new Australian wine movement, we’re very excited to announce a new partnership between Skurnik Wines and Little Peacock Imports. 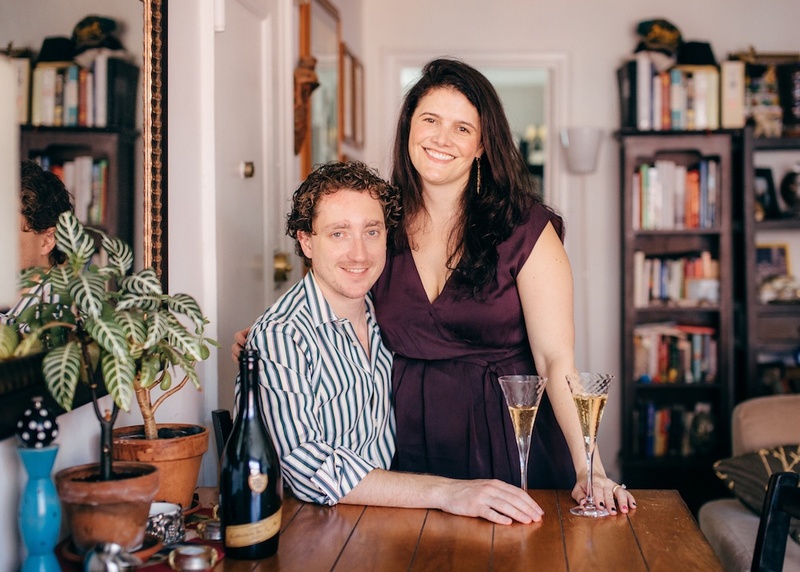 Gordon Little and his wife Lauren Peacock started this project 5 years ago with the intention of bringing small producers, different varieties, and ultimately, balanced wine from Australia to the United States. They have had great success self-distributing, mostly in New York City, and are looking forward to joining forces with Skurnik Wines to continue to show the world what Australia is really made of. Australia no longer has to be defined by high alcohol Shiraz driven by scores! Australia is undergoing a wine revolution as we speak, but many of the wines don’t make it to the United States because of the strong domestic market in Australia. In the Little Peacock portfolio, we will have access to excellent Semillon (don’t you dare call it semi-yone) from Ashbrook Estate and Happs in Margaret River, estate wines like Picardy from the original Moss Wood owners and Moorooduc in Mornington Peninsula, as well as Best’s Great Western, a winery which dates back to the 1860s, and more. And yes, there is Shiraz, but it is balanced, spicy, and utterly drinkable. We will be working with 10 brands from the Little Peacock portfolio to get started, including wines from Yarra Valley, Coonawarra, New South Wales, Victoria, and The Grampians, among others. We will be debuting the full portfolio at the September Champagne tasting. More information to follow on that! Additionally, here is some brief information on each winery so that y’all can get a grasp on the great juice that we’re working with here! Wines: Chardonnay, Semillon, Verdelho, Shiraz, Cabernet-Merlot One of the oldest wineries (forty years) of Margaret River. What you see is what you get – a third generation family, father-daughter-husband and son team organically farming their small Wilyabrup vineyard. All wines are single vineyard, hand-picked and Vegan and Vegetarian friendly. Winemaker: Ben Haines (formerly of Mitchelton, Yering Station and Mt Langi Ghiran). Wines: Blanc de Blancs, Marsanne, Marsanne-Roussanne, Shiraz-Marsanne, Mourvedre-Grenache-Syrah, Syrah Viticulturalist-turned-winemaker focusing on his love for Rhône varieties, Ben has been winemaker at a couple of historic Aussie wineries. He works with Organic and Biodynamic vineyards around Victoria, making small production (200-400cs) unfined & unfiltered wines that are intended to express, in his words, ‘the vineyard in a glass’. Wines: Riesling, Pinot Noir, Shiraz, Sparkling Shiraz Founded in 1866, this is Best’s 150th year, making it one of the oldest family wineries in the country and possessing some of the world’s oldest vines on own roots (Shiraz planted 1867 and Pinot Meunier planted 1868). Formerly known as the Great Western region, The Grampians lay at the foothills of the Great Dividing Range, where the region benefits from altitude and abundant sunshine days but suffers low rainfall. Best’s are particularly hailed for their Riesling, which ages wonderfully. Wines: Semillon-Sauvignon Blanc, Shiraz Inland New South Wales is a prolific Australian growing region. Beelgara’s wines are a welcome refreshment from Aussie styles popular 10 years ago. Crisp, acid-driven, very moderate alcohol and little to no new oak, they’re geared at everyday drinking and very friendly price-point. Wines: Semillon, Chardonnay, Pinot Noir, “East of Alice” Nebbiolo-Tinta Cao-Touriga-Tannat blend, Bordeaux Blend Erl Happ planted his southern Three Hills vineyard over twenty years ago in the coolest part of the region where the soils are derived from granites. A prolific grower, winemaker, potter and amateur scientist, he has crafted some of the most curious and beguiling wines in Western Australia. The vineyard is organically farmed and vines hand-picked. Wines: Cabernet Sauvignon, Cabernet-Merlot Historic estate established in 1972 on the strip of ‘terra rossa’ soil that is the Coonawarra hallmark. Rustic, old country-road-style and age-worthy Cabernet, plus a beautiful Cab-Merlot blend made without any new oak. These are not warm climate fruit-bomb style in the slightest! Wines: Chardonnay, Pinot Noir, Shiraz Moorooduc is a founding winery on the cool-climate Mornington Peninsula at the very southern tip of the mainland (heading toward Antarctica), 1.5 hours south of Melbourne. Planted in 1983 and family owned and run, Richard, his wife Jill, and daughter Kate (MW), focus on single site Chardonnay and Pinot Noir. Organically dry-farmed, all wild yeast, no fining or filtration. They’ve always worked with the same three vineyards (their own, their viticulturalist’s, and one leased from family friends). Door-opener wines for fine dining. Overall production below 5,000 cases. Wines: Chardonnay, Pinot Noir, Merlot-Cabernet Bill and Sandra Pannell founded and planted iconic Moss Wood winery in Margaret River. In the early 1990s, they sold as they wanted to grow Pinot Noir & Chardonnay instead and Moss Wood’s site isn’t suited to that. They planted Picardy in 1993. Pemberton is one of Australia’s newer wine regions with the first grapes planted in 1977. It is excellent for viticulture because of its combination of southern latitude and high altitude, which create a relatively cool climate. Overall production approx. 5,000 cases. Wines: Pinot Gris, Chardonnay, Pinot Noir, Shiraz. About an hour’s drive East of Melbourne, the Yarra Valley has a deep history as Australia’s oldest wine growing district. Punt Road is a benchmark for cool climate Aussie styles. These are all single vineyard wines with a heritage, and priced favorably against Burgundy and California. Many of the vines planted 20+ years ago, hand-picked and often fermented wild. Freshness, acid-driven, moderate alcohol, all French oak (mostly neutral).